Where is the Innovation in Mobile Banking? Mobile banking has come a long way in the last three years, and the introduction of the iPhone and other popular Android devices have done a lot to move financial institutions to adopt a more feature rich application set. Finance has come a long way from the simple, archaic, ability to request you balance from your banking institution via text messages: We can now see all our transactions, pay bills, transfer money between accounts and even pay our friends that $20 we owe them with a simple Bump. I don’t handle a lot of checks these days as I use direct deposit and online bill pay features although, I do occasionally handle the seemingly prehistoric check. With all this progress, what still baffles me is the fact most major financial institutions have yet to implement check deposits via your Smart Phone. USAA, and most recently, PayPal have given users the ability to utilize the camera feature on their smartphones to deposit their checks by taking a simple snapshot. I know there are security issues, and being in the IT industry myself I know that implementation of a feature like this on a large scale is tricky, yet it seems like a win-win situation for all involved. Customers don’t have to find an open bank or ATM to deposit their checks, banks have less wear and tear on their equipment by eliminating many deposit transactions, fewer tellers are needed to process deposits in a traditional bank. And before we start the discussion of your eliminating jobs for tellers, keep in mind more high level tech people will be needed on the back end of the system thus creating jobs. I am a Bank of America customer myself and as I write this, sitting at my favorite free Wi-Fi location, I can’t help but stare out the window at my Bank of America branch and shake my head. One of the largest banking institutions in the world can’t figure out how to allow me to deposit my check from home. Some may see this as laziness, I see it as maximizing my ever limited free time and spending it playing with my kids and not standing in line at the bank or finding an ATM machine. 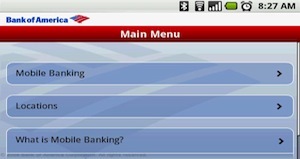 What are your thoughts on the progression of mobile banking? 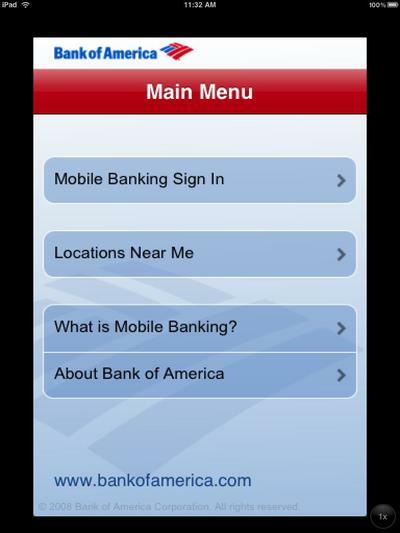 Does your bank offer a rich mobile banking feature set? Can you deposit your checks directly from your Smart Phone? I want your feedback.